The Seventeenth Judicial District Commission on Judicial Performance unanimously recommends that Judge John E. Popovich BE RETAINED. Judge Popovich received both his undergraduate degree and J.D. from the University of Colorado at Boulder. He worked as a District Court Magistrate prior to being appointed a District Court Judge in 1986. During the current review period, Judge Popovich’s case load consisted of 30% Civil, 20% Domestic Relations, 10% Juvenile, 5% Mental Health, 5% Probate and 30% Criminal. His current docket consists exclusively of criminal matters. He currently serves as a board member for the Community Reach Center Board of Directors (Adams County Mental Health Center). He participates in the 9 to 5 Program through the Adams County Education Consortium affording high school students the opportunity to meet with individuals to discuss different professions. The evaluation used by the Commission included a review of Judge Popovich’s survey results, courtroom observations by Commissioners, legal opinions authored by Judge Popovich, his self-evaluation and a personal interview with the Commission. Judge Popovich’s ratings from both attorneys and non-attorneys are higher than the statewide average for all District Court judges standing for retention in 2014. Of attorneys responding to the survey, 100% recommended retention, 0% not to retain, and 0% made no recommendation regarding retention. Of non-attorneys responding to the survey, 94% recommended retention, 1% not to retain, and 5% made no recommendation regarding retention. 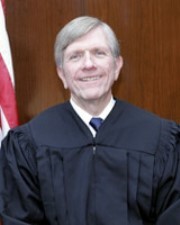 Surveys distributed to both attorneys and non-attorneys associated with cases assigned to Judge Popovich provided broad statistics in assessing his effectiveness. Judge Popovich received a strong approval rating by those he has interacted with in his courtroom during this term. Judge Popovich indicated that he attempts to treat everyone in his courtroom with respect, fairness and dignity, so as to guarantee that everyone is treated equally under the law. Based on its review, the Commission unanimously recommends that Judge John E. Popovich BE RETAINED.